Manufactured from soft drawn pure oxygen free copper. This process gives the best electrical results possible for maximum current flow and tinned for corrosion resistance. 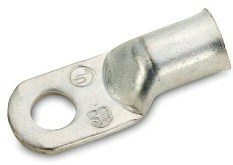 Can be crimped or soldered.